J.C. has five CD albums currently available through PayPal. Please browse below for song lists,track previews and footnotes. For What You Seek (You Will Find) J.C. And The Supernumeraries. 'For what you seek' is the title of J.C. Grimshaw's latest C.D. Album, featuring 11 new songs. The album takes you on a musical journey from quirky dance-band calypsos, to driving down- home stomp blues, and from mystic story ballads, to small-town heart felt country laments. The album features a whole host of tantalizing sonic arrangements: hawaiian steel guitars, mandolins, bouzouki, strings, vintage guitars , upright bass, piano, drums and percussion and a few more surprises all combine to create and deliver the rhythms and grooves that ebb and flow and are certain to get you movin'! J.C. is joined by fellow musicians Paul Armfield, Chris Jones, Kathy Grimshaw, Dave Godby, Mike Rodrigues and sister Angelina to make up the supernumeraries. “I feel confident that we have managed to really capture the spirit and vitality of these songs on record, which has always been my main objective. The songs have always worked well live, and now I'm excited to hear how well they come across on the album.”. This album comes with an 8 page full colour booklet with song lyrics, band photos and art work taken from oil paintings by the artist John Rufus Grimshaw. 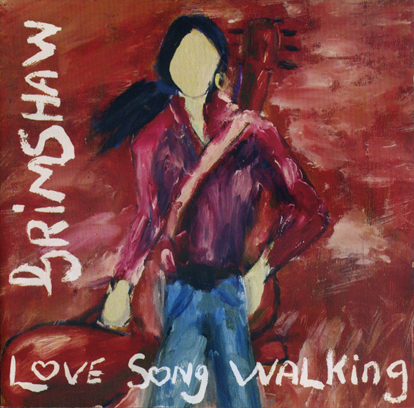 Love Song Walking is J.C.'s third solo album. Accordian, violins and piano add to the instrumental line up. The twelve original songs have a folk/country influence but maintain J.C.'s unique creative style. The album is a mixture of light acoustic and full band production. Fellow musicians Paul Armfield (double bass), Rupert Brown (drums), Barkley Mckay (piano and organ) Kathy Grimshaw (violins) Jake Rodrigues (accordian) and Angelina (backing vocals) make up the band. This album has proved to be very popular and has enjoyed much radio play. This album comes with an 8 page full colour booklet with all song lyrics, band photos and art work taken from oil paintings by the artist John Rufus Grimshaw. 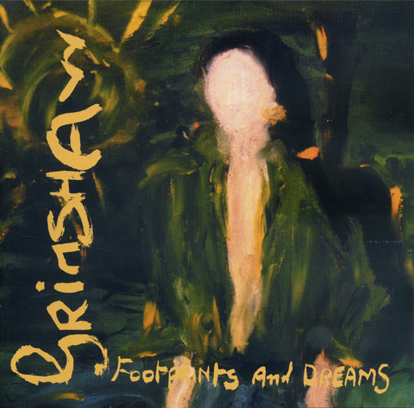 Footprints and Dreams is J.C's second solo album. 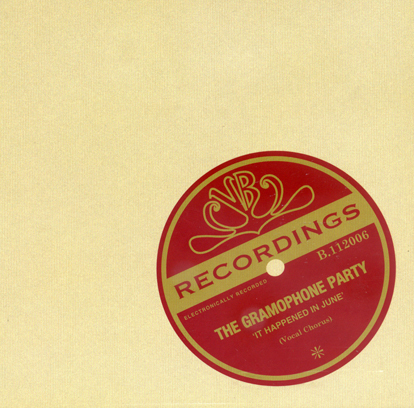 The eleven songs combine folk, world and balladeerial styles and influences. The album has plenty of light and shade, and ranges from the upbeat, to the more mystical. As with all of J.C's solo albums he is joined on certain tracks by fellow members of 'The Dance Preachers' Rupert, Paul and Angelina. Along with some solo performances. This album has enjoyed air play on Radio 3's 'Late Junction'. Although slightly more left of field this album has still stood the test of time. 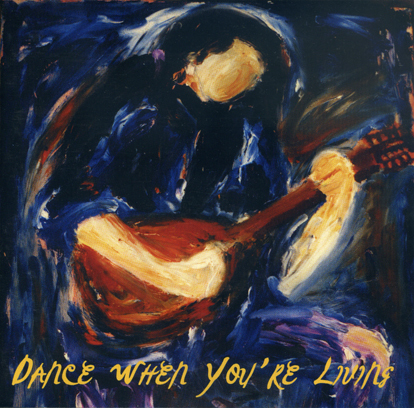 'Dance when you're living' is the title of J.C.'s first solo album featuring 10 original songs, (plus 2 original blues songs from sister Angelina). 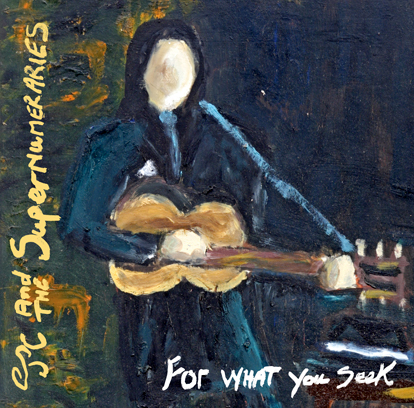 This album has a strong acoustic blues-skiffle feel full of upbeat and high energy songs. J.C. uses National resonator guitars, Gibson archtops and mandolins to give all the songs his unique and original take. He is also joined on certain tracks by Paul Armfield on upright bass, Rupert Brown on drums and sister Angelina on vocals and rhythm guitar. C.D. Currently sold out, but soon to be available as a download. 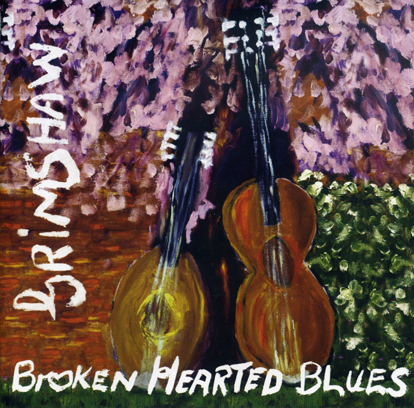 Broken Hearted Blues brings you up to date with the current duo sound from J.C. and Angelina Grimshaw. This project holds 16 original songs crafted by the brother and sister act and their recordings catalogue their live shows. Broken Hearted Blues demonstrates the duo's commitment and passion Angelina and J.C. hold for the early blues - country - ballad songster sound. This album comes with an 8 page full colour booklet with all song lyrics, photos and art work taken from oil paintings by the artist John Rufus Grimshaw. Paul Armfield - double bass. Jack Tait - trumpet/valve trombone. J.C. - guitar/mandolin/national tricone guitar/ukulele/vocals.